Situated at stone's throw from the zero line, Mohar Jamsher village is surrounded by Pakistan from three sides and is sealed with the cobra fencing. Its fourth side has barricades protecting it from the Sutlej fury. And all this give a feeling as the fate of its residents has been locked forever. This is not one village whose residents are feeling neglected. The condition of residents of its surrounding villages - Mohar Khiva, Mahtam Nagar, Mohar Sona and Bahini Dilawar - is no better than inhabitants of Mohar Jamsher despite the fact that they are "blessed with" road connectivity to the Indian mainland. A denial of basic amenities by the successive state and Centre governments, no educational and employment opportunities and "hostile" attitude of the authorities concerned towards their genuine problems has made their lives a "burden" on them. "As we have taken birth in this area, we are passing our time. Life has got no charm for us," said Jagir Singh of this village, adding that now only a miracle could change their lives. "Should we rejoice at the fact that we are citizens of independent India when we cannot get bus service, civil and veterinary hospitals, high school, safe drinking water, toilets and roads in the past over 60 years?" he asked. He said after Class V, children of the area had to go to Fazilka, 15 km from here, for further studies. "We were uprooted in the 1965 and 1971 Indo-Pak wars. We were again uprooted when mines were laid in this area after the Parliament attack a few years ago. The Sutlej has also been playing havoc with our lives more often," said Karnail Singh, adding the successive state governments never showed mercy on their plight. About a year ago, the residents of this village also witnessed an unprovoked firing from the Pakistan side. Unregistered medical practitioners hold higher status in their lives as in case of emergency, only they are available to them. Not only this, most of the residents have been left with no choice than to marry off their children to residents of nearby villages, which are having almost the same kind of atmosphere. When residents of this village were asked whether any one from their village had been given employment by the Punjab government, they said only one person had been engaged as a boatman so far since Independence. Most of the residents have been eking out their livelihood by rearing cattle and tilling smallholdings of land. 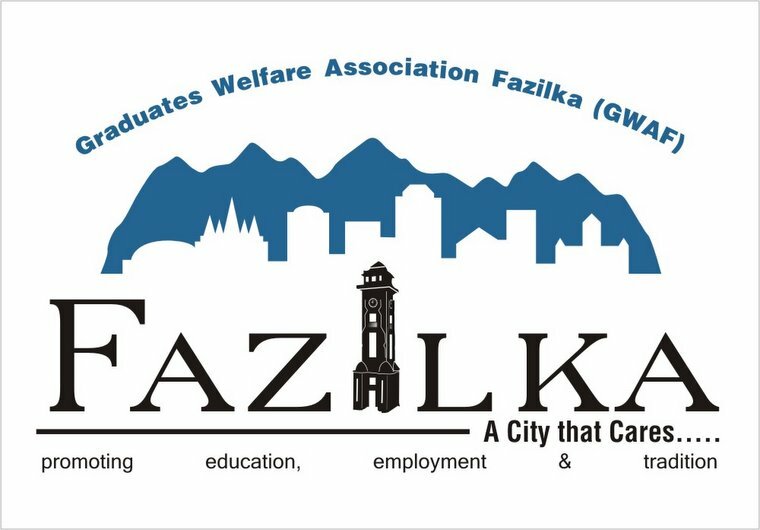 A significant section of them would go to Fazilka town daily to work as labourers. Though residents expressed their resentment over their frisking by BSF personnel every time whenever they enter or exit this village, they also appreciated them for their help being extended to them in case of emergencies. However, they have been demanding that another cobra fencing, which was wrongly erected alongside the Sutlej about 25 years ago, must be dismantled. They also demanded that the BSF authorities should not dismantle a pontoon bridge over the Sutlej during the months when crops were sown and harvested so that they could be able to transport their produce at nearby markets without any hassle. Mr. Justice Muhammad Naseem Chaudhri, Judge, Lahore High Court, Lahore was born on May 01, 1938 in Fazilka, District Ferozepur (India). His late father Ch. Ali Ahmad, Advocate, started his legal practice during the year 1920 after obtaining Bachelor of Laws Degree from the Punjab University, Lahore. After the inception of Pakistan, the family migrated to Bahawalnagar. Mr. Justice Muhammad Naseem Chaudhri got his education in Montgomery (Sahiwal). He passed his Matriculation Examination with scholarship during the year 1953 from Batala Muslim High School, Sahiwal from university of the Punjab. He passed intermediate Examination with scholarship from University of the Punjab, Lahore during the year 1955. He was Chief Editor of College Journal 'Sahiwal'. He was elected as the President, Sahiwal College Union for the Sessions 1956 - 57. He passed Bachelor of Arts Examination from University of the Punjab during the year 1957. He was awarded "Honours Degree in Persian". He was awarded "Role of Honour" by Government College, Sahiwal. He did the Bachelor of Laws from University Law College, Punjab, Lahore during the year 1959. He started the Legal Practice at Bahawalnagar with his father Ch. Ali Ahmad, Advocate in 1959. He stood second in the erstwhile Province of West Pakistan in the P.C.S (Judicial Branch) Examination during the year 1963 when he was member of District Bar Association, Bahawalnagar. He joined as Civil Judge, Rahim yar khan on October 29, 1963. He was promoted as Administrative Civil Judge on June 15, 1971. He was promoted as Additional District and Sessions Judge on April 26,1973. He was promoted as District and Sessions Judge on September 22, 1980. He worked as District and Sessions Judge, Kasur, Multan, Rahim yar khan, Khanewal and Bahawalpur. He worked as Special Judge, Special Court ( Banking ), Multan as well as Special Judge (Central), Multan. He was working as District and Sessions Judge, Bahawalpur when elevated as Judge, Lahore High Court, Lahore. He took the oath as Judge of Lahore High Court, Lahore on August 07, 1994. He compiled the "Manual of Instructions and Forms" ( 700 pages ) published by the Lahore High Court, Lahore in 1989 and was awarded "Certificate of Merit" by the Lahore High Court, Lahore. He was awarded the "Chair of Honour" by the District Bar Association, Khanewal in September 1992. During the process of the scrutiny of the amendments in the High Court Rules and Order proposed by the Lahore High Court, Lahore; Mr. Justice Muhammad Naseem Chaudhri, while working as District and Sessions Judge, represented the High Court in the meetings of the High Powered Committee consisting of Law and Parliamentary Affairs, Home, Finance, Services General Administration, Information and Implementation and Co-ordination Departments. Mr. Justice Muhammad Naseem Chaudhri participated for four months in Advanced Course in Shariah (Islamic Law) in Institute of Training in Shariah and Legal Profession, Islamic University, Islamabad during the year 1982, and visited Egypt and Saudi Arabia. Mr. Justice Muhammad Naseem Chaudhri has shown his keen interest in the research work. The Articles on different subjects written by him are published in different law journals of the Country. He retired on 30th April 2000. "invaluable" linkage provided by rickshaws. away with any authorisation that was against the law. agencies, to display sensitivity when exercising coercive powers." guaranteed under Article 19(1) (g)." was framed to limit the number of motorised vehicles. cycle-rickshaws is invaluable," the court held. levied on private vehicles entering some areas as a deterrent. personnel to treat rickshaw-pullers with sensitivity." of rickshaw-pullers in an arbitrary manner. transport such as bicycles and cycle-rickshaws". Wished i cud ask my teacher..."may i come in.... " and wanted to hear her shout.... "You late again... no attendance..."
but there was no one there... just empty desks.. and we three.... looking at the walls.... and the desks.. all empty... with quotes we wrote ... and the raised platform .. where the torture classes were held... and the last benches.. where we had fun.... laughed .... kicked out.... hiding from the teachers... pleading for attendence............ million memories rolled like a muvee into our minds... and there was complete silence for a moment.. and we smiled ... laughed!!!!! Walked like heros from the medivial times.... jumped over the benches... had a look at the bench .. where the so called babes of our class used to sit.... hehehe... babes in engineering.... a dream in itself... (no offenses to any babes)... ..
"roll number 23............ varun.... u sleeping again........ "
"Ok fine............. roll number 24"
"....................... hey .. present ma'm............ "
"you sleep dear...!!! no attendence for you................."
Venkatraman Ramakrishnan may have won a Nobel for Chemistry, but he was never good enough to crack the IIT-JEE. The scientist was perhaps one among the hundreds who, year after year, lose their IIT dream despite top scores in the JEE of a given year. Strangely for them, others with scores much lower than their own make it to the institutes, courtesy a heavily faulted and non-fixed procedure of fixing cut-off marks for math, physics and chemistry, which determine a student's eligibility for admission to IITs. For the first time since decades of secrecy around the IIT system, large-scale discrepancy in admissions to institutes has surfaced, following efforts of Prof Rajeev Kumar, a faculty at IIT Kharagpur, who has brought the mass bungling to government's notice. Shocking disclosures (from 2006 to 2009) he procured from IITs under the RTI are now in the knowledge of HRD Minister Kapil Sibal, who will meet the professor tomorrow to discuss the matter. The documents show how 994 top scoring students failed to make it to IITs in 2006 just because cut off calculations that year were faulted. Picture this: A 2006 IIT-JEE aspirant with a cumulative score of 251 (101 in math; 96 physics; 54 chemistry) was disqualified for admission whereas another with a low score of 154 (37 math; 48 physics; 69 chemistry) scraped through. A top JEE 2006 scorer with 279 marks (36 math; 116 physics and 127 chemistry) was rejected against another who scored a meager 156 (45 math; 56 physics and 55 chemistry). Reason: Top scorers in JEE 2006 failed to secure cut-off marks prescribed by IITs in either of the three subjects - 37, 48 and 55, respectively, for maths, physics and chemistry, respectively. Consequently, a student who had a high score of 101 in Math and 96 in Physics was disqualified that year only because he missed the Chemistry cut off by one mark, scoring 54 instead of the required 55. What's shocking, however, is this: Cut off calculations for IIT-JEE 2006 which Prof Rajeev Kumar did on the basis of the criteria which IITs disclosed under the RTI yielded much lower minimum scores for the three subjects than what the IITs had claimed. Actual cut offs came out to be 7, 4 and 6, respectively, for math, physics and chemistry as against 37, 48, and 55, respectively, which IITs followed that year for admissions. "The IITs then supplied many versions of the subject cut-off procedure (which to date is not fixed and keeps changing), none could correctly explain the stated cut offs used in 2006," Kumar stated today in his letter to the President of India, IITs and to Sibal. Kumar's theory of IIT 2006 admissions being based on erroneous calculations gains ground considering unimaginable declines in subsequent JEE cut-offs — 4, 1 and 3, respectively, in 2007; 5, 0 and 3 in 2008 and 11, 8 and 11 in 2009, respectively for math, physics and chemistry. Equally inexplicable is the wide variation in cut off marks over years - in 2008, cut off for Physics was 0; it was 48 in 2006. Documents further show that in JEEs (2007 to 2009), students with as low as 5 per cent marks (one scored just 8 marks in physics; the cut off was 0) were declared qualified. However, students with as high as 29 per cent marks in any one subject were rejected. The most shocking case involves a student who, with as less as 10 per cent marks in math (just 16) in JEE 2009 was placed at a high All-India rank of 1234, enabling him entry to any IIT. The trend is obviously in contrast to the IIT policy of fishing the best talent with basic knowledge of the three subjects. The RTI has also exposed instances of wrong evaluation of question papers by IITs which still don't share JEE results on the day of the test. Before the test, they seek from students a declaration saying: "Admission irregularities can't be challenged". RTI documents with Kumar have revealed that in IIT-JEE 2006, questions worth 11 marks were wrongly evaluated. In 2008, a candidate with 10 marks in math qualified for admissions, whereas math questions worth 18 marks were wrongly evaluated. Her acting added dimensions to movies like V Shanta Ram's "Apna Desh" (1949), Sohrab Modi's "Sheesh Mahal" (1950). The melodious compositions like "Channa kithan guzari raat wey", "Gallan dilan diyaan dila vich reh gayiyaan" and "Tarean to puchh Chann wey" are still hold the public in awe. She has also been awarded Punjabi Bhushan Award by Punjabi Academy, Delhi, and Kalpana Chawla Excellence Awards - 2007. World famous neurologist and former principal of Government Medical College and Hospital, Chandigarh, Dr Jagjit Singh Chopra is also a resident of Fazilka. He is a member of American Academy of Neurology and editor of World Neurology - an International journal of World Federation of Neurology. He was awarded Padma Shri (correction : Bhushan) in 2008 for his contribution in the medical field.